Lipsynk Cosmetics Ambassadors & Guests, join the Lipsynk Training and Entrepreneurial Event. Are you ready to take your business to the NEXT LEVEL, then this is the event for you! 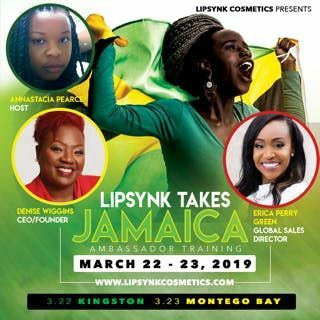 CEO Denise Wiggins & Global Sales Director Erica Perry Green invite you to emerse yourself in a weekend of EMPOWERMENT & a Life Changing Experience. REGISTER TODAY for an event that you don't want to miss! Decorate Your Own Derby Hat With Cynthia From C.Whimsy!